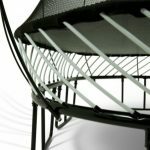 Pros: Without a doubt safety is the top factor to consider when purchasing a Springfree Trampoline. 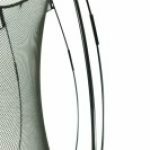 Over 90% of product related injuries are eliminated with the use of Springfree Technology. The good news is, the price is slightly lower compared to the 11' Springfree. Cons: Price is always the top concern with a Springfree trampoline. Is it worth it? Yes, the safety factor alone makes it worth it, however it is still a negative we all have to consider when purchasing this model. As with all Springfree trampolines we have to mention the outstanding safety features it offers. 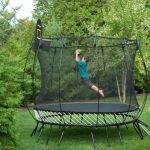 As the name implies the trampoline has no springs, thus eliminating an estimated 90% of product related injuries. On the other hand, that safety and technology does not come cheap. 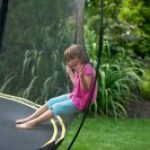 The entire line of Springfree trampolines are considerably higher priced as compared to some of our other trampoline reviews. Is it worth it? In our opinion, of course! There is no price tag that can be placed on the safety of children. Assembly is also always a concern when it comes to Springfree trampoline, mostly because its a completely new concept. However, Springfree offers excellent assembly tutorials/videos on their site. Q: Fiberglass rods are used to replace spring, but is it possible to get fiberglass splitters from installing? 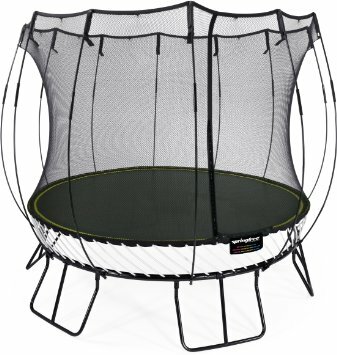 Q: The Spring trampolines are so much cheaper, is a Springfree really worth it? A: YES! Every year roughly 100,000 trampoline related injuries are reported in the ER. Springfree eliminates roughly 90% of the root of those injuries. Q: Can I leave this trampoline outside, in all weather conditions?